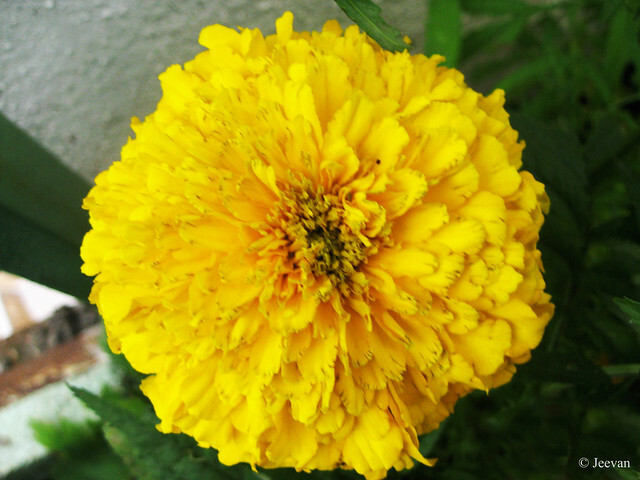 Terrific photos of the Marigold/Saamandhi flower. The lighting on the orange flower is particularly beautiful. We have these Marigold flowers here too and I love their smells after rain. So refreshing. PS: I don't see Samandhi poo around here much nowadays! Beautiful Marigolds, Jeevan... I love BOTH colors... We have a few flowers blooming in our yard now --but the weather people say that we're going to have more COLD weather coming... Fun fun. This is one of my favorite flowers. They don't over winter here and have to be replanted in the spring. I like the story about Mary's gold. I had never heard of it before. Good photos. 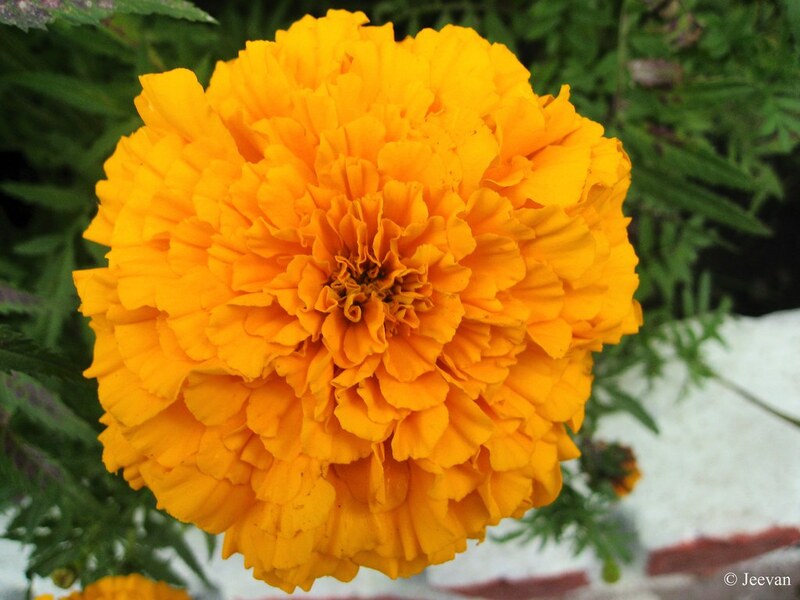 Ever since I visited India, Jeevan, marigolds always bring back happy memories of my trip there. Lovely shots.